While it's been a long time coming, the debut full-length from White Lung has had a wrench thrown into the works. The celebrated Vancouver post-punks have announced that they have lost founding guitarist Natasha Reich, whose riffs and unique approach to writing and performing were a driving force for the band. Despite this untimely setback, White Lung front-woman Mish Way explained that the band are not breaking up. 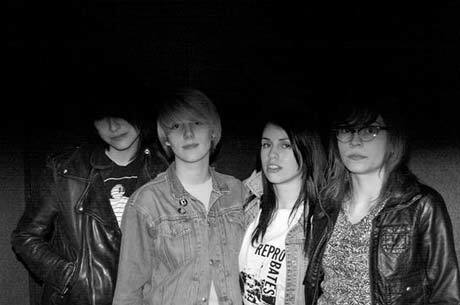 In an email to Exclaim!, May said, "White Lung has decided to keep going. WE ARE NOT BROKEN UP. We are starting to jam with new guitarists, but anyone that can play hard and creative, tour in December and do an album later on (when we're settled again) can contact us and come and try." Fortunately, this means that a White Lung LP will eventually happen. Way insists that the band are optimistic. "We are really excited because this is a fresh start," she says. "I feel confident in this change. It won't be easy to replace her, but we're looking forward to trying. The LP will happen when we get someone new and start writing with them." White Lung have previously released two singles, Local Garbage and Magazines.